Dominican native Seranthony Dominguez is a talented hurler that deserves recognition among the Phillies top pitching prospects. After signing with the Phillies at age 17 in 2012, the six-foot-one 185-pound righty would make his pro debut that year with the Dominican Summer League Phillies. He spent two seasons there, tallying an 8-10 record with two shutouts and a 3.20 ERA in 29 outings (24 starts). He would debut stateside in 2014 with the Rookie level short-season Gulf Coast League Phillies, spending two seasons there. In 16 appearances, Dominguez posted a 3-3 record with a 2.94 ERA. In 2016, Dominguez opened the season in extended spring training and made three starts for short-season Class A Williamsport. He would sport a 1-1 record with a 2.12 ERA and a .136 batting average against with the Crosscutters before a promotion to Class A Lakewood. With the BlueClaws, Dominguez would notch a 5-2 record with a 2.43 ERA, a .202 BAA and a 9.3 K/9 mark in 10 starts. Dominguez opened the 2017 campaign with the Class A Advanced Clearwater Threshers, where he was honored as a mid-season All-Star. He would miss roughly two months in the middle of the season with a reported shoulder injury, but posted good numbers overall. 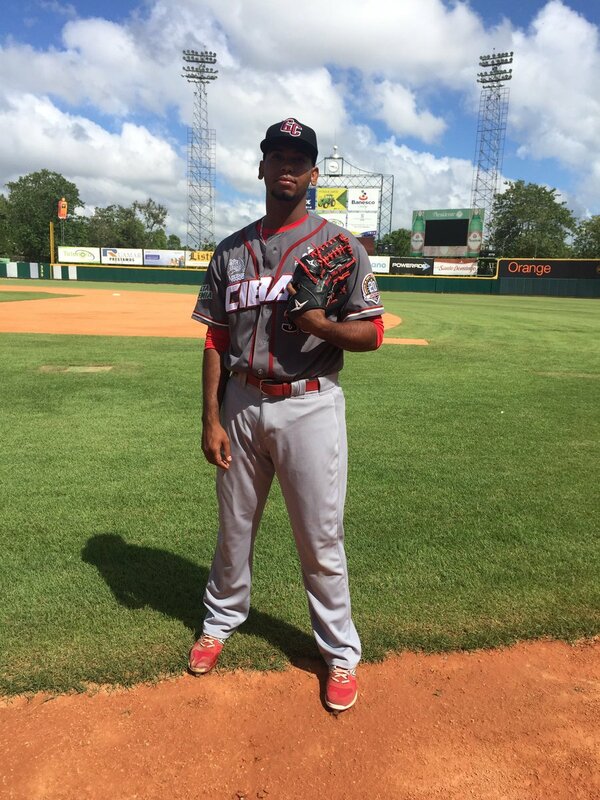 In 15 games (13 starts) for the Threshers, Dominguez had a 4-4 record with a 3.61 ERA, .230 BAA and a 10.8 K/9 mark. While his walk rate has been a concern at times during his time in the minors, his considerable strike out numbers are a big plus for Dominguez. The 23-year-old was added to the Phillies' 40-man roster this off-season in order to protect him from the Rule 5 draft. With an announced move to the bullpen, it's likely Dominguez should get opportunities to close. Dominguez's arsenal features a very good fastball that ranges from 96-99 MPH, a wipe out breaking pitch that dives away from righty hitters with late movement along with a solid change up. The Phillies see a bright future for Dominguez in the late innings. Look for him to open 2018 as part of the Double-A Reading roster with the potential to rely on his power arm and be a quickly paced mover in the upper levels of the sport.